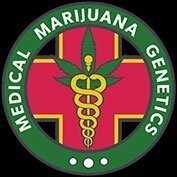 Medical Marijuana Genetics is a new seed bank borne out of the very sad circumstances of a family illness. The collective learned about the medical benefits of high CBD marijuana strains and after seeing the relief CBD oil brought to one of their mothers suffering from terminal cancer they made it their goal to research and produce the highest CBD medical marijuana strains possible. Medical Marijuana Genetics have managed to create 5 incredible feminised cannabis strains which are all very high THC and have at least 1:1 THC:CBD ratios. One of the strains, Candida has had certain phenotypes tested at 20:1 CBD to THC levels which is a world record. All the high CBD medical marijuana strains from the medical marijuana genetics seedbank are available to buy from dope-seeds.com now.